Now that it's officially July, summer is finally reaching its halfway mark. 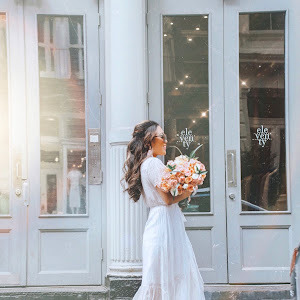 With classes starting back up towards the end of August, I like to stay ahead of the game by mentally and physically preparing myself with a back-to-school checklist. I may be officially done with the #dormlife, but I've had plenty of experience living in one. For starters, it's very easy to overbuy dorm items. I am very guilty of buying more than I need. That is why I am excited to be teaming up with Her Campus + Pottery Barn Dorm campaign to help make your Dorm 101 checklist easier! Dorm Tips: 1. Pick a color scheme. I used this pretty aqua shade as an example. 2. If you can score a cute wall decoration that contains storage, BUY IT. The more storage space, the better. 3. I recommend having a cork board and calendar of some sort, to stick all your notes and to-do lists on. Things can get hectic once classes start, and you want to be as organized as possible! 4. Since you'll probably be working at your desk, I recommend buying a comfy chair that suits you. My old dorms provided chairs, but I never used them because they weren't comfortable for me. 5. A desk lamp is a MUST. There will be nights when you're trying to study, but your roomie wants the lights off so she can go to bed. 6. A fridge. NEED. 7. I would recommend a rug. It gives the room a more clean, polished look. If you have any more unanswered questions, please shoot me an email or leave a comment below! I'd be happy to answer them! What are some other Dorm 101 tips that you recommend? Don't forget to check out some of these items for your dorm! 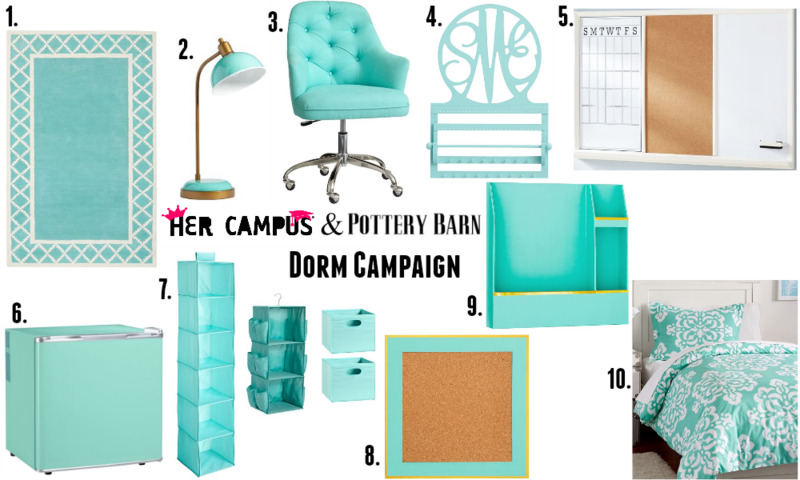 This is a sponsored post in partnership with Pottery Barn Dorm and Her Campus Media. All words and opinions are my own. I lived at home and went to college so never got to experience dorm life. I love your idea though. Storage and organization are key issues. A sleep mask would help too to block out unwanted light. Such a precious post my friend! And I agree- a mini fridge is a must!! Black and Gold - Two Ways! Beaming White Video Review + Giveaway!